New to paddle boarding? This is the perfect place to start. We’ve got you covered with all the basics you need to get into the sport and on a SUP as soon and as safely as possible! There is no shortage of paddle boarding styles and options. Choosing a SUP can be quite confusing but it doesn’t have to be. From the various types: all-around, racing, touring, surfing, and yoga boards it can be difficult trying to buy your first board. We recommend that you are honest with yourself about how you will use your paddle board. And this means how you will use it most of the time, not the occasional usage. For example, if you plan on cruising around lakes the majority of time and want to occasionally sit in on a SUP yoga class, don’t buy a SUP that is yoga specific or else you’ll be unhappy the majority of the time. In fact for most beginners an all-around stand up paddle board is the perfect first board. Here’s what Zoe and Kurt think are the best stand up paddle boards for beginners. The sport has gained much popularity over recent years and the trend doesn’t seem to be slowing down. Many board companies have gained some raving fans. Consequently these are some of the best rated SUPs right now! If you are athletic you’ll have no problem standing on a properly sized paddle board. Paddle boarding for beginners doesn’t have to be difficult however. Most modern boards are made to be quite large and very stable. Before buying a board you will want to pay attention to the dimensions and the volume of the board. These will affect the boards overall stability greatly. If you are not very athletic that’s okay, we’ve got you covered. Here’s a rundown of some of the most stable boards… perfect for beginners! Just remember, take it easy on your first few boarding excursions. Keep an eye on the weather and never venture too far from the shore. And as always make sure you have the proper safety gear with you at all times. This typically includes, a coast guard approved life jacket (or pfd of some kind), and ankle leash and some water for hydration. You are going to fall off from time to time. In fact you’ll want to voluntarily jump in the water to go for a swim should you need to cool down! For the beginner, remounting your SUP can be somewhat of a mystery once you are out in deep water in which your can’t stand. Be sure to follow this guide for getting back on your paddle board before you venture out into deep water for the first time! No experience out on the water will be enjoyable unless you know a thing or two about paddling effectively. The way a board turns can be somewhat confusing if you are not used to driving a paddle-powered water craft. Here’s some info on how to use your SUP paddle. If you are just starting out or will be sharing your equipment with another person we recommend an adjustable length paddle. They are slightly heavier when compared to a premium fixed length paddle but you will never notice the difference as a newcomer to the sport. What you will notice very quickly is if the paddle is the wrong length! Your back will ache if the paddle is too short. An adjustable length paddle allows you to get the length right and change it to your style over time. Here’s a complete guide to choosing the right paddle. 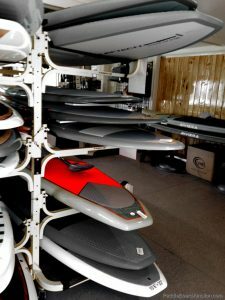 There’s a dizzying array of paddle board sizes available. Based on your weight, paddling experience and your intentions you should be able to target a few boards that will meet the majority of your paddling needs. Remember, base your board choice on how you will use it the majority of the time. Once you start shopping around for paddle boards it doesn’t take long to realize that you can easily spend thousands of dollars on these sleek water crafts! If you are on a budget or looking to get a few starter boards for your kids there are some affordable options that your can buy right over the internet. Here’s a list of the best options for paddle boards under $500. Fortunately paddle board fins are super easy to put on and off. This makes transporting your paddle board even easier, and safer. 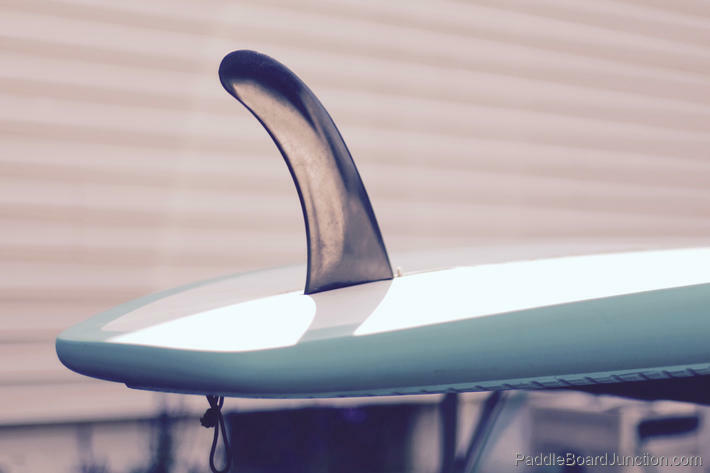 You have a few options on your paddle board’s fin placement. Most of the time you can just set it and forget it! That’s great considering you can spend more time on the water and less time tinkering around with the fin. 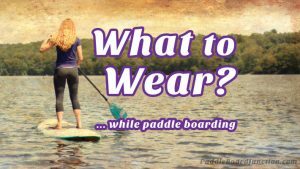 As if keeping your balance atop a floating vessel wasn’t enough, you need to consider what you will wear while paddle boarding. Yes, you need to consider your paddle boarding attire before you venture out. Depending on the season and the physical demands of your paddling intent you’ll want to ensure that you are both safe and comfortable. Don’t worry, we have you covered! 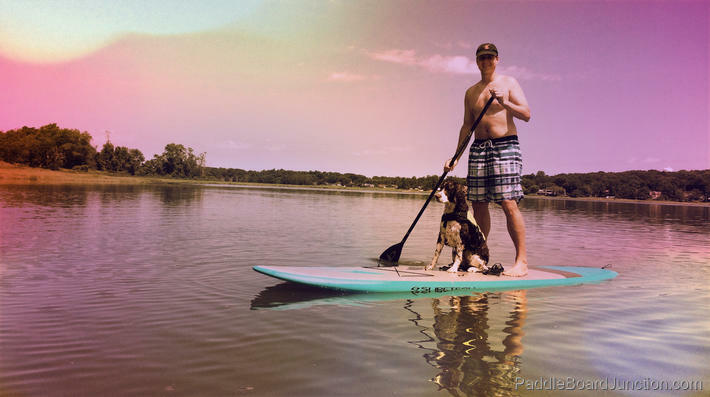 Check out this beginner’s guide on what to where when paddle boarding! Is paddle boarding good exercise? Why yes it is… and it’s good fun too! We think the best forms of exercise are the ones you look forward to and hardly realize you are exercising! A bad day out on the water beats any day in the gym. Zoe and I love paddle boarding. Each time we go for a really long excursion, especially if we haven’t paddled in a while, we are really sore the next day. This, to me is further prove that we were getting a really stand up paddle board workout while having fun on the water. You see paddle boarding really works your whole body… even your toes. I’ve noticed that my toes get a supreme workout whenever I’m forced to balance through really rough conditions! To avoid getting really sore and to get the most out of your paddle boarding trips it would be wise to get your body ready for paddling. Check out these stand up core exercises that will help get your body strong and flexible in just the right places for paddle boarding! I wish we could paddle board everyday, but we can’t. It’s important to stay in good physical shape in between your paddling adventures. If you’re anything like us you’ll tend to overdo it each time your venture out. SUP is so much fun that we tend to go really hard and for extended periods of time. It’s great exercise but this can lead to injuries or in the least a really sore body for days to come. To avoid these pitfalls it’s a good idea to exercise on your off days.